We know you want your trip to be perfect and memorable. Make the most of your time and money by following our list of travel tips. Winter (December through March) -- Do you like big surf? Does the thought of whale watching float your boat? Do you like a little cooler temperatures? 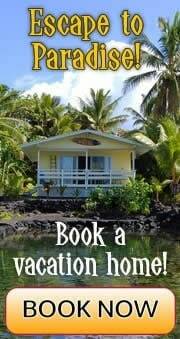 If so, book your vacation for winter. Typically, during this time, the surf is up on the north shores, whale season is at its peak and the daytime temperature is averaging a comfortable 75°F (24°C). The downside of winter travel is that tourist season is also at its peak (mainly around Christmas, New Year's and Valentine's Day). This means that booking things, such as hotels, cars and activities may be more of a challenge especially if you're on a budget. Not to worry though, the solution is to simply book these necessities well in advance. Spring (March through June) -- This is a good time to catch a break on airfare. 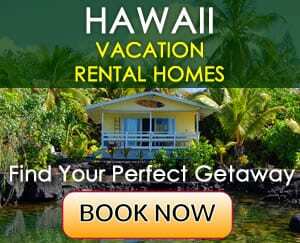 You may also find better hotels deals in spring as this is the time before the busy summer season when many families with school-age children travel to Hawaii. Spring in Hawaii is also the season when the gorgeous purple Jacaranda trees bloom. Not to mention the Merrie Monarch Festival, an annual, week-long hula competition, which takes place during this time on the Big Island of Hawaii. Spring in Hawaii can be a little chilly and rainy - but it's mostly just passing showers. On average, daytime temperatures remain in the balmy upper seventies (around 26°C). Summer (June through September) -- Summer is hot and sunny. Temperatures often rise up into the high eighties (around 30°C). The surf is up on the south shores and the beaches are packed. Summer also means ripe mangos in the Islands. You'll find these yummy tropical fruits at every fruit stand - perfect for eating at the beach or blending into an icy afternoon cocktail. During the summer everything seems busier. Many local kids are out of school on break. This means busy beaches, shops and restaurants. If you are a photographer or plan to take a lot of photos, the summer months are ideal because this is when the sun is directly overhead (in the hours around noon) and the sky is the deepest blue. Especially beach photos look best when taken in the summer months. Fall (September through December) -- This time of year can be a bit muggy in Hawaii, especially in October. And some years it rains more frequently in November. However, if you plan to spend a lot of time on the beach and do activities in the water, this is when the sea surface temperature is the warmest. The ocean temperature in September and October is a pleasant 80˚F (26.6˚C). During this time (excluding the days around Thanksgiving), you'll also be able to find some hotel rate specials as this time is before the busy Christmas season. Vacations can be ruined by red and blistered sunburned skin. Don't let it happen to you. Use a broad spectrum sunscreen with a SPF of 30 or higher. Try to limit your sun exposure between 10 a.m. and 4 p.m. Keep babies out of the sun (a baby tent may be a good idea to bring). Wear a hat that shades your face. Sunglasses are important in Hawaii if you don't want to walk around with your eyes half shut all the time because you're blinded by the sun. Polarized sunglasses are especially nice because they reduce glare (such as reflections on the water surface), so when you wear them on the beach, you can see the reef or rocks in the water much better than with your plain eyes or with sunglasses that don't have polarized lenses. Make sure your sunglasses have a UV filter. This is especially important if you are planning a lot of hiking in the rainforest. While mosquitoes won't bother you too much in the towns and on the beaches, you will for sure notice them in the rainforests, especially on humid days or after a recent rainfall. Either protect yourself with clothing (by wearing long pants, a light jacket, etc.) or with a good mosquito repellent. Mosquitoes also seem to be more active in the early morning and late evening hours. While crime is generally low in Hawaii, it does happen. The most common crime that visitors experience in the Islands is theft and especially rental car break-ins. Never leave valuables in your parked car (not even in the trunk). Also don't bring valuables to the beach. It is best to leave them in your hotel room, preferably in a room safe if there is one. If you have a valuable camera, for example, and you bring it to the beach and would like to go for a swim, have your travel buddy or partner watch your valuables while you take turns. In the event of an emergency, you can dial 911 from any pay phone without depositing any money (in case you don't have a cell phone at hand). Additionally, you can contact the Visitor Aloha Society of Hawaii (VASH), which was created to help Hawaii visitors who are affected by crime, medical emergencies, accidents and other advertities. After filing a police report, VASH services are provided on Oahu: 926-8274, Kauai: 482-0111, Maui: 244-3530, and the Big Island, Hilo: 756-1472 and Kona: 756-0785. If you're an international traveler, you may not know that in the USA, leaving a tip (gratuity) in restaurants, hotels and for taxi services is the norm. Most of the time the gratuity is not included in the bill, so you will have to do some math and include the tip yourself. As a general rule of thumb, most people give between 12-18% gratuity for restaurant servers and the hotel room service and about 15-20% for taxi drivers. The maids who clean your hotel room should be paid about $1.50-$5 per day (depending on how luxurious your hotel is). The reality is that just about everything is going to cost a little extra than what you're probably used to. Many visitors find that food costs (whether it's at the grocery store or restaurant) are more expensive than what they are used to at home. If you're on a budget and want to save money, consider booking a room in a hostel, a bed & breakfast or a vacation rental instead of in a hotel or resort. Staying at one of these "alternative accommodations" can save you some money. The only real downside to these types of accommodations is that they lack the grandiose amenities that some hotels and resorts can provide. Know your limits when it comes to activities in the ocean. Swimming in the open ocean is much different than swimming in a pool. Hawaii's beaches may look inviting, but there are dangers that can't be easily spotted from land, such as strong rip currents and sudden large waves. Visitors frequently get hurt while enjoying Hawaii's ocean. It is therefore best to swim at lifeguarded beaches only and to heed all warning signs. Also, know your limits when it comes to trying new watersports, such as surfing, bodyboarding and diving. 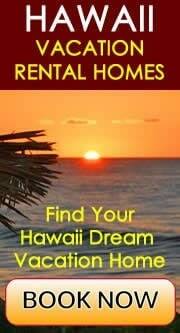 There are airports on all main Hawaiian islands (Oahu, Maui, Kauai, Big Island, Molokai and Lanai). Inter-island travel is only possible by plane. Ferry services only exist from Maui-Lanai and Maui-Molokai. All major Hawaiian airports have visitor booths that are run by the Visitor Information Program (VIP). Definitely plan to stop by a booth when you arrive for valuable informational brochures which include money-saving coupons for many island tours, activities and stores. You can also call ahead with any questions that you may have before you arrive.